Utilities: Owner pays water/sewer/trash & HOA fees, Tenant pays rest of utilities. Don’t miss this great condo in Hampton Village located in the desirable Creekside Natomas Master Plan. A spacious master bedroom easily accommodates a king-size bed and the walk-in closet is also spacious. 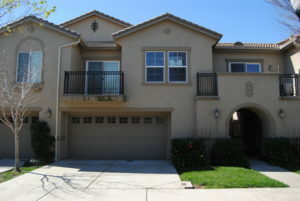 This great condo provides easy access to I-5, I-80 and Hwy 99. Easy commute to downtown Sacramento. Shopping, dining, and entertainment are at your fingertips! You’re across the street from a k-8 school. On site are a swimming pool and playground.